Nearly two years ago, I published the blog post 8 Ways To Be An Extreme Cheapskate, which was about extreme money saving tips. While the people in that post are from the TV show Extreme Cheapskates, I wanted to ask real people what they do to save money and for their best money saving tips. We've all done super embarrassing things to save money. 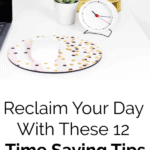 By sharing the things that we do, maybe we can all feel a little less embarrassed about our best money saving tips and even find new ways of saving money. 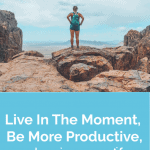 Doing one or all of the below may allow you to change your life for the better, such as by allowing you to pay off your debt more quickly, improve your financial habits, help you reach your dream sooner, and more. Here are the best, funniest, and most embarrassing money saving tips. Have you ever thought about changing up your look or doing something drastic in order to save money while doing so? These money saving tips will show you exactly how to save money on your looks, and they are super interesting! Related tip: Sign up for a website like Ebates where you can earn free CASH BACK for just spending like how you normally would online. All you do is click on a store that you want to shop through (they have TONS of stores such as Kohls, REI, Toys R Us, etc. ), and shop just like how you normally would. Ebates makes a commission for referring you to the store you just shopped at, and they give you some of that money back as a thank you. Plus, when you sign up through my link, you receive a free $10 cash back! My Ebates review: Money Saving Tip – Use Ebates For Free Cash Back. How much do you spend on rent, your home, etc? 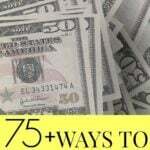 With the money saving tips below, you'll be able to save money at home in many different ways. Related tip: My preferred way to travel is to stay in short-term rental vacation homes such as Airbnb (this will give you a $20 Airbnb coupon code for your next stay). Airbnb vacation home rates are usually comparable or cheaper than a hotel, plus you usually have more room and there is usually a kitchen as well. Also, if you have a lot of people going on vacation with you, you can split a house for a much cheaper price than it would be for everyone to get a hotel room. Read my Airbnb review The Many Positives Of Using Airbnb Plus a Coupon Code For Your Next Vacation! Go to the bathroom in a jar or bottle instead of using the toilet. This is from Extreme Cheapskates. There was one episode where the woman had a working toilet, but wanted to save water. In order to do so, she had a jar next to her toilet that she would use the bathroom in. There was another episode where a guy only flushed his toilet once a week. It didn’t matter what happened in his bathroom, he waited AN ENTIRE WEEK to flush it. Get rid of paid TV completely to save money. The average monthly cable bill is around $120! By the year 2020, the average cable bill is expected to be around $200 a month. If you want to save money, you may want to think about getting rid of cable, satellite, Netflix, and anything else you are paying for, and just switch to a digital antenna (I highly recommend doing this!). Groceries can be expensive, but they don't have to be. With these money saving tips, you'll be able to cut your grocery bill in no time! Related tip: I recently joined $5 Meal Plan in order to help me eat at home more and cut my food spending. It’s only $5 a month (the first two weeks are free too) and you get meal plans sent straight to you along with the exact shopping list you need in order to create the meals. The meals are easy to make and are affordable. Dumpster dive for free food. Dumpster diving is when you go to various dumpsters (homes and stores), and dig around until you find a treasure. I was first introduced to dumpster diving for food on Extreme Cheapskates, but I actually know a few people who do this and find great deals. Eat roadkill. This is another money saving tip from Extreme Cheapskates. I know that all food comes from somewhere, but driving around trying to find a dead animal just seems a little too extreme for me. One family actually used almost every part of the dead animal they found. They ate the animal, and I believe the mom made keychains for their guests as well. Take as many online surveys as you can. There are tons of survey companies that you can sign up for and make a little bit of side cash. If you sign up for them all, you may be able to earn anywhere from $25-$100+ a month by taking surveys online. Survey companies I recommend include Swagbucks, Pinecone Research, Survey Junkie, and Harris Poll Online. They’re free to join and free to use! You get paid to answer surveys and to test products. It’s best to sign up for as many as you can as that way you can receive the most surveys and make the most money. What other money saving tips do you have to share? What embarrassing things have you done to save money? Haha, it was a lot of fun to write! Thanks, for making my day! Lol. I have to try some of these tips! I am all for saving money when ever possible and do not feel the need to hide off brand products in higher brand boxes. If I am trying to save money I am not going to hide it. I agree that skipping the mall is a good start. Many of these ideas are helpful, but I hope that some of theses are not really true because several are unsanitary, unsafe, and unhealthy. Not washing off your make up can lead to skin problems and will prematurely age your skin. Not flushing for a week might as well have a porta-potty installed nearby and using a jar instead of the toilet and dumpster diving for food make me feel very sad for these people. I hope for everyone we are able to take better care of ourselves and each other. Unfortunately many people are so broke after paying their bills like rent, water, power, & gas, there is barley any left to pay for anything else like their phone, cable, fuel for the car, and let’s not forget the food and paper products. I am a single mom who can no longer work. I support myself and 2 children on $300 a month! So, yes I am very frugal with my purchases. I make a little extra money on the side sewing items to sell, doing bead work to sell and many other items. I purchase most of my fabrics from goodwill. I use coupons when I need something from the fabric stores as well as watching for sales. I never pay more then $1 per pattern. I closely monitor the thermast all year. Currently it is winter so at night I set it at 68-69, during the morning I set it at 70-72 for about an hour then back down to 69-70. We do laundry no more then twice a month. I make the kids hand warmers that they put in the microwave just before they leave for the bus. What may seem unhealthy or unsanitary to you means away of survival to others. I’m sure you have never had to struggle a day in your life and that is great but might I suggest you put on someone else’s shoes for a month before chastising someone who is struggling. For example can you live in $300 a month? How about $500 even? Next time you see a mom or dad trying to count out the last of their change just so they have bread and milk for their family. Be an example to others by being Christ like. May you be blessed. Some of these are way too extreme for me (eating roadkill for example). Some that weren’t listed include using a diva-cup or washable pads instead of buying disposable pads and tampons every month. Using cloth diapers for your baby, clothing swaps with friends, doing workouts from youtube or checking out workout videos from the library and going to those “kids eat free” restaurants if you really must eat out. Oh my God. These are some crazy things people are doing to save money. Michelle: This money saving tip is not humorous or extreme, but it works.Trying paying monthly debts, like mortgages, car and student loans, biweekly. Divide your monthly payment in half and pay that amount every two weeks when you get paid. Because there are 52 weeks in a year, you’re making 26 half payments, or the equivalent of 13 monthly payments a year. This extra month’s payment can help pay off your debt more quickly and reach your financial goals sooner. 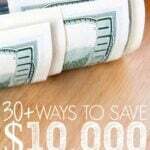 These are some pretty crazy ways to save money! I must confess I’ve done a few of these myself though :P.
Hahaha, thanks for sharing these! Some of these are a little wacky, but I guess it’s all about what works for you. The line between being cheap and being frugal is a thin line–and it’s a line that I think is different for each person. I don’t think I’d shave my head to save money, but I did walk to work to save money, which many people in my city would consider extreme. It’s all about perspective, I think. Some of the “craziest” things I’ve done do include dumpster diving for coupons (which I stopped because it turns out there are laws against that–oops), walking to work while we saved up for a car (not a popular choice in our city, especially for women), and grocery shopping at 7 am to get discounted meat. We already do a lot of these things, but I’m always looking for new (reasonable) ways to save money. We’re saving a ton on heat right now with our wood-burning stove. I like the idea of sewing your own reusable coffee filter – definitely going to give that a try! All these tips are making me laugh. I’ve definitely done a few of these to save money, thanks for including mine! This is too funny, I love it!! Thanks for including me Michelle!! These are funny! Currently I am saving money by not fixing the heat in my car. Halfway through last winter the heat stopped working and after the quote I got was $1000 (mainly for labor) I decided to tough it out for the rest of the year and re-evaluate this year. Once it got warm I never thought about it because the AC works fine, but here we are back to winter and I am still not planning on fixing it! I don’t have to do a lot of driving early in the morning or at night so I just wear my jacket, scarf, gloves, and sometimes a hat. People think I am crazy but I think it is worth it – I hate unnecessary expenses, especially on cars! Haha, I’d probably do the same. $1,000 is a lot! It’s obviously not that cold where you are. In Canada where winter is regularly below freezing if you don’t fix your heat in the winter your windshield will never be clear if you get any spray on the window once your driving. Not sure where she lives, but I’ve done this in New England. Park so sun will help defrost. And/or use a windshield cover. Icescraper and windshield fluid designed for extreme winter cold. A chalkboard eraser helps defog interior glass. Like her, my AC works. Heat is just close to non existant. (Not leaking coolant, etc. )Set to the windshield option, and crack window a bit. The goal is a clear view. I hate ppl who drive around with a snowy car. There are also plug in heaters, seat warmers, etc. No experience with those personally yet, but they exist. IF its -30 for days on end, then, no these temporary solutions won’t work. If your glass is clear though? Baselayers and a lap blanket are your friends. Awesome post with fun and creative ideas to save, who can blame anyone for saving. We had to do what we had to do! If you work it right, it’s only temporary. A very short time period. It’s sacrificing for the short term to have a better long term so to speak! A true life lesson. Growing up in Western Kansas had it’s advantages. One year we had just moved to a new town, and we didn’t have enough money to buy a Christmas Tree. My Dad made it an adventure, we were challenged to find the biggest tumble weed. Dad spray painted it with some green paint he had left from a prior project, and we put lights on the tumbleweed. It was when I was in 3rd grade, I am now 59, but it was one of the most memorable Christmas celebrations of my life. It was a fantastic Christmas, all gifts were homemade and as always, I don’t remember the gifts, I just remember the Christmas. Wow some of these are extreme! I hang onto birthday and Christmas bags and reuse them! I loved Jen’s gift card idea–so smart! This is a very entertaining list! Can’t say that I’ve done more than 2 or 3 of these things. Some things I have done to save money are stop using my dryer and air dry all my clothes and go to bed early in the winter so I save on electricity. Haha, I agree – it was entertaining to write too! Fasting is a good idea it will save money as well as it will good for health. A lot of the other ones are actually quite helpful and can definitely save you money. Eating roadkill can too, but I don’t think I’d ever try it! In our county in Indiana, a LOT of deer are killed or injured . One can have their name on a list at the police or sheriffs stations to pick up the “roadkill” right away. The person who picks it up must skin,gut, butcher and wrap the meat for the freezer. Great list! But uhhh….buying Mentos to save money on gas. If you even had a large tank that held 20 gallons, you would save only $8 but how much are you spending on Mentos. If you had a small tank (12 gal), you are only saving $4.80. This person might have actually spent more than they saved! lol I did love the generic/name brand cereal trick! I’ve got an extreme way to save money (although in our case, that wasn’t our reason for doing so). If you happen to have a job that you can do remotely, live in a developing country. There are always places within those countries where you’ll be able to enjoy the must-have comforts you’re used to, and your money will go a long way! Plus, you’ll have one heck of an adventure. I’m not a huge risk taker, we only travel to places with a reputation for being safe, always research where to go for safe medical care etc… .but it’s worked out well and provided us with some amazing memories! Anyhow, loved reading this list – it’s amazing what people have gone through to save a buck, and I admire them for doing what they had to do! I enjoyed reading through this list. While so many points made me laugh, almost all of them could be applied in more of a moderate manner and people could save money without appearing to be too crazy. I am not too sure about those Extreme Cheapskate ideas though – yuck! While I have and currently do some of these things, some of the ideas listed could be very unhealthy. I’m not shocked by the roadkill idea because I have heard of people doing this but a hunter did recently tell me that if an animal is not butchered correctly, urine and other “stuff” can get into the meat and cause someone to get pretty sick from eating it. A car hitting an animal and causing an explosion inside the animal’s body would definitely put a good butchering at risk. Also, due to hunting laws, it may be illegal to collect road kill without first notifying the authorities. My favorite money saving trick is actually making my own baby wipes. I’ve saved so much money just using paper towels with water and coconut oil. 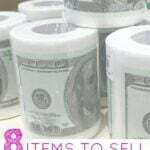 I’m too squeemish for cloth diapers or soft cloths and water for wipes, but you can do that as well and save even more money. If I purchased wipes I would be spending at least 6X more a year than I do by simply making my own. I do purchase some wipes for trips outside the house or on the occasion that I forgot to make a new batch of wipes. I use an old butter tub to hold my home-made wipes. I used to have two, but I gave the second to my sister who had a little one this past June. My husband was a dairy farmer and he always wanted to have REAL butter’ I would buy a lb. of REAL butter,and a lb. of margarine, then use the electric mixer to blend them together. In the 54 years that we were married, I don’t think he ever caught on. Fun list. Desperate times call for desperate measures. Sometimes you’ve got to do what you’ve got to do to get by. Beats going into credit card debt! Thanks for sharing! My son was behind a vehicle that hit a deer. He jumped out, hit it with a tire iron so it wouldn’t suffer and asked the driver if he wanted it, to which he answered, “no”. He and his friend butchered it. He has been a hunter since he was 9 years old and has shot many deer. So, in this case, yes, I would agree with road kill. However, I also agree with the above post-er who states about the urine and the state laws. Most of these were pretty reasonable, but the toilet seat gift really hit home for me, since I gave my wife a couple soft-close toilet seats for Christmas one year. I’m actually going to give her three more this year for our new house. I like all the ideas. But I have a small question. People in the US use paper towels at home? Are guests afraid to use a normal towel? Is it considered unsanitairy? Or is it not just for the guests? Paper towels are generally used to clean up kitchen spills. Some people use a rag or a sponge, but when those sit around wet they can grow a lot of bacteria so most people prefer to just use a paper towel that they can simply throw away. You can simply throw away rags, too. Cheaper and better for the environment. I’ve saved a LOT from doing this. Bought an electronic razor 12 years ago for $50 and I’ve rarely had to pay for a haircut since. It’s sometimes hard to get the pesky bits you can’t see at the back though! People in the US use paper towels at home? Are guests afraid to use a normal towel? Is it considered unsanitairy? Or is it not just for the guests? I think the average US household mainly uses paper towels. It is sad! 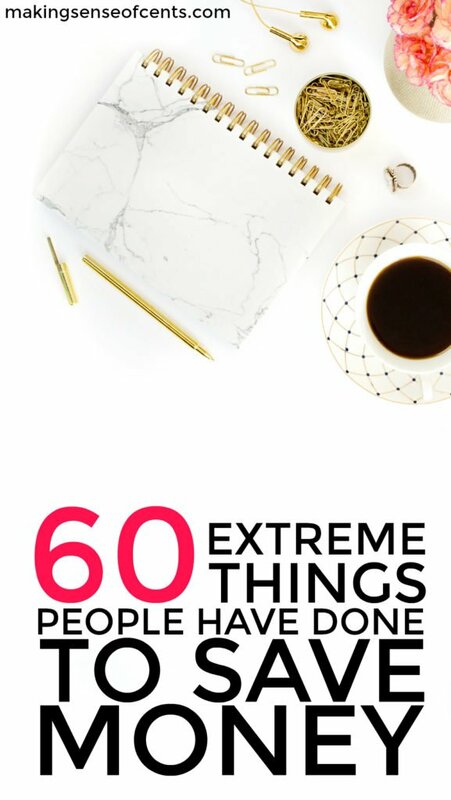 I have read several of these “extreme ways to save money” lists looking for new ideas and I have come to the realization that a good portion of people would consider me and my family wackado. I think in many cases, once you start doing something, it becomes “normal” to you. I knew that I wanted to be a stay at home mom. 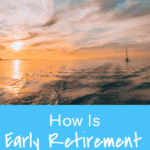 For several years before my 2nd child was born (I have an older child from a previous marriage) I started researching and practicing ways to save money so I could afford to stay home. I have learned to make almost everything from scratch. I buy staples in the largest most cost effective size possible. 25-50 lb bags of rice, beans, flour, etc. I visit the local orchards and farms. I buy bulk produce, can, freeze and dehydrate. 2 years in a row I visited the local u-pick farm and brought home 1500-1800 lbs of summer veggies for only .25¢ a pound between the months of July and Nov. I can 200 lbs of Applesauce and 36 pints of strawberry jam each year. This year I have 600 sq ft of garden beds in my front year. I never knew a person could eat broccoli and cauliflower leaves, but we are going to. My summer veggies spend their nights in my dinning room until the weather gets warmer. I use cloth diapers, cloth wipes, menstrual pads, flannel toilet “paper”, cloth dinner napkins, cleaning towels, reusable Ziploc bags, silicone baking mats, and silicone muffin papers. We take our own trash to the dump. Instead of spending $30 a month for pickup, it only costs us $14-$24 every 2-3 months. We try to have as little garbage as possible. Not just for environmental reasons, but mostly because it costs money to throw stuff away. If it’s good, we try to find a home for it. If we can’t, we donate it. If it can be recycled, we separate it. I keep a compost pile. Recently I started doing a Bokashi bucket for meat, dairy, and grains. It ferments those items so you can add it to the compost bin. I also started doing the same thing with a compostable cat litter. NO I’M NOT GOING TO USE IT ON MY VEGGIES! After the fermenting process, I’m going dig a hole and let nature do the rest. I’ve considered composting my own urine, but I haven’t worked myself up to it yet. I get my kids clothes second hand or at the thrift store. I only have 2 pairs of pants for myself. I wear one pair till it’s dirty, 2-3 days, then the other pair. Then wash both. I won’t buy another pair till one gets a hole in it or I change sizes. I only shower every 2-3 days unless I’m actually dirty, like from the garden or farm. Doesn’t mean I don’t wash up, but not a full shower. I started doing this while pregnant with my 2nd child and I had HORRIBLE patches of Eczema on my outter thighs. The only thing that helped was showering less often. I just kept the habit after my son was born. The time and water savings has been wonderful. Same thing goes for my kids. I don’t bath them but every few days, otherwise they get very dry and itchy. Why spend money on lotion, when you can just bath less and get better results. Along the same lines, i’m considering quiting shampoo. After some research, I think it will improve the quality of my hair and save money. When my husband and I first married, we decided to pay off all our debt before having kids. So we set the thermostat at 50°. We both worked all day, it seemed dumb to heat an empty house. Then at night we used an electric blanket and wore stocking hats to bed. Now that we have 2 small kids, we heat the house to 65°. Instead of getting a bigger house, the 2 youngest sleep in our room, while my 15 year old has his own room. When I was a teen, I slept in the garage on an air mattress so I wouldn’t have to share a room with my sister. It was so cold in the winter, I slept with 4 sleeping bags. I’ve bubble wrapped windows to insulate them. Now I use a shrink wrap specific Ally designed for the job. I’ve put reflective mylar blanks on the hot windows. This year we’re going to use a reflective film sold for windows, it’s more permanent than $1 emergency blanket and packing tape. The floor to ceiling “curtains” in our bedroom are thermal blankets, $5 ea on Black Friday. The ones in the living room are duvet covers from the clearance rack. Believe me, you’d never know! My husband brings home leftover food from work potlucks. He use to work in the school kitchen on Friday’s and day before school vacations he’d bring home food that would expire during that time. Sometimes it would be boxes and boxes of single serving milk cartons. Other times we’d get 40 lbs of small bananas. I’d peel, mashed, and freeze 1/2 cup portions to use in smoothies, muffins, breads, pancakes, etc. Food that would have gone in the trash could feed my family for weeks sometimes. Occasionally the produce would be to far gone and go in the compost pile, where it would later feed the garden, then my family. I’ve asked for yard waste, moldy bales of hay, and manure from my neighbors for my garden. I’ve traded veggies for gates, strawberry jam for T-posts, Honey Ginger Applesauce for a swing set, Dilly Beans for a huge bag of flannel, a days weed eating for a $500 huge chain link dog kennel and many other uneven trades. However, both parties were happy with the deal! I’ve even left notes at people’s houses asking if I can trade them for some thing that just “sat” unused and out of place for long periods of time. EVERY SINGLE TIME the answer was “yes, I was planning to get ride of that!”. For years my dad, husband and I would work these parties doing clean up, serving drinks, whatever they needed. At the end of the party, EVERYTHING was considered garbage. The caterers, party hosts, rental hall were MORE than happy to have us take food, plastic ware, decorations, etc that were headed for the garage. We always double checked if it was something really nice. We weren’t drinkers, we could have gone home with half empty bottles of alcohol everytime. We got paid a couple hundred dollars each for these parties as well. We owed a favor to a friend, so when their wedding came up, we shuttled guests to the remote location in return for 15 cases of Mason jars they used as drinking glasses. After the party, I very carefully scoured the outdoor location for EVERY SINGLE ONE. Boxed up all that sticky mess and washed them at home. For two years I signed up for a program with the electric company, where they would send me a message that it was an “energy saver” day. During the hours of 2-7 pm the electric bill would triple, but during the rest of the summer our energy rate would be 1/2 the normal. 10 days each summer we’d suffer the 106° heat laying on the floor under the ceiling fan, spraying a mister on our body to keep cool. 7:01 pm would hit and we’d either turned on the whole house fan or AC depending on how miserable we felt. One year our house was struck by lightning. Parts of the house no longer had electricity until we replaced the blown fuses and GFIs. We used extension cords for the refrigerator and freezer. The toaster went in the dinning room. The worst was it blew the electrical to the electronic “eye” that sent the signal to the well pump at the bottom of the property. For 8 weeks we had to go down there and hold the button to send 80 gallons of water to the pressure tank in the garage. Believe me, that gets old fast and you find ways to use as little water as possible. Over the years many things have broken and we learned to make due without till we could afford to fix them. Our house has 2 hot water heaters. The one that supplies hot water to the laundry room and guest bathroom broke. Since it wasn’t a high priority, it didn’t get replaced for several years. When I needed to wash cloth diapers, I boiled a huge pot of water on the stove and poured it over the diapers in a bucket to help sanatize them. When the washer broke, I hand washed laundry till we could fix it. When the dryer broke, I used an iron to help dry the clothes because it was winter and they’d take days otherwise to dry. I’ve used less than 1 gallon of water to bath when the water pressure tank broke. We’ve used 1 car while we saved money to fix the other. We bought Lowe’s gift cards to pay for decking, just to get the gas rewards. We buy gift cards for planned purchased for the gas rewards, especially when they are offering 4x the gas rewards. On vacation I have brought a loaf of bread, peanut butter and jelly. Several times I made sandwiches while my husband drove. It was nice not to HAVE TO buy food just because we were hungry. My husband says if he’s stuck on a deserted island, he wants name brand peanut butter and paper towels. He’s family gifts him both for Xmas and Birthday because I won’t. I have super glued, duct taped, paper clipped, stapled many articles of clothing or shoes just to get a little more use out of them. I cut open toothpaste and other tubes to get the last bit. Water down my conditioner to get one more use. Even if I have a new one waiting. I’ll use the last drop of something in a jar or bottle by adding broth, vinegar, juice, etc, swishing it around and adding it to something. Not doing this just feels wasteful and often adds a nice punch of flavor to a dish. I’m sorry this list is SO long and random. The more I wrote, the more I thought about things we do that others might think are crazy or extreme. We got ourselves out of debt and decided to stay that way. Sometimes the wait to save up is long and hard. Other things, we’ve just adopted as a way of life. I COULD go back to work, but the COSTS of doing so would out weight my earnings. Quick point on the makeup: I used to wear makeup for more than one day and my skin got nasty from it, lol. It’s much better to celebrate your natural face as a way to cut down on cosmetic use. I started going makeup-free on the weekends only, and then did it a few days during the week as well. Goodness that’s a crazy list! Yep, some of these are a bit much for me, but some of them I’ve definitely done. We also go for a zero food waste policy, especially when eating out, by ordering family style – typically 3-4 entrees can feed our family of five. Kids meals are oftentimes not the best choice – not only is it typically some of the worst food (can we seriously feed our kids something other than chicken fingers and grilled cheese?? ), but you’re paying for that soft drink and dessert on top of it. Splitting an adult entree gives them healthier food options, minimizes the excess waste, and is typically cheaper. Additionally, when we were in Costa Rica, we got a huge bag of refried beans and did beans/rice/tortillas for meals all the time – we’d feed the kids on this BEFORE we’d go out to eat – and they were excited because that meant they got to try a dessert out (we would get 1 or 2 for them to split) and we got to eat a nice meal without the added expense of feeding everyone. Remember restaurants aren’t just for the main course, so modifying your going out by looking at the restaurant as the supplement and not the main course can be a great way to save. We always order the minimal amount possible to start with – you can always order more, or be satiated enough to cover you until you get home and grab something extra. I developed holes in my tennis shoes and to save money I stitched my tennis shoes back together. I got six more months out of them before they ripped again.